Do you have a lot of opinions? Do you think you would make a great political pundit or pundit of any sort? The question is how do you gain that type of authority. Some people go to school, get their masters and become professors but that's no guarantee that people will actually listen to you. You could also start a YouTube channel, put some important looking charts behind you, and confidently speak to the world through your channel. That could work, it's less expensive than grad school but it's still a lot of work. 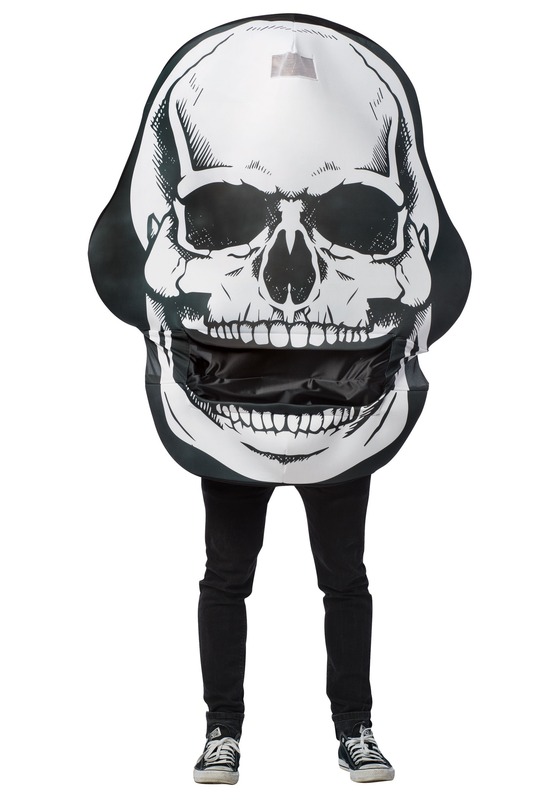 In this costume you can not only become a true talking head but one from the great beyond! How could people ignore a wise message from beyond the veil and a big headed message at that? What you do with that power is up to you. The wise skull might suggest that we appreciate our time together while we can, stop sweating the small stuff, enjoy life's little wonders. Or the talking head could suggest that everyone should give the talking head the last piece of cake for the skull is wise and deserves a sugar break. Power is power, what you do with it is up to you, oh wise head of wonder. 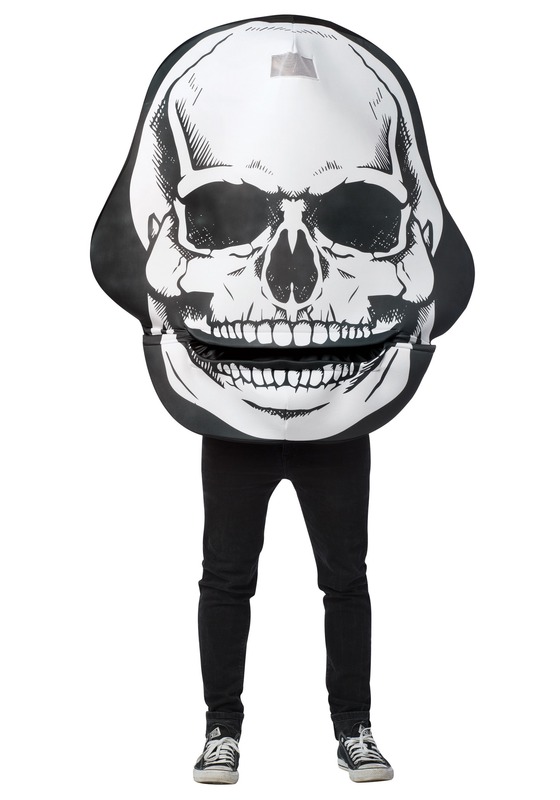 This costume has a hand printed look that makes this skull seem extra edgy. The mesh patch at the top allows you to see but we wouldn't suggest driving while wearing it, not only would your vision be impaired but what would the other drivers think? Best of all, when you're sharing your knowledge with the world you can move the mouth of the skull. No one can see your face, so go ahead and say something dumb. Just blame it on this bonehead later.